Azure – Azure at Bonita Bay in Bonita Springs is one of the premier high-rise condo structures, which was built in 2006 and has 26 stories of luxurious residence and premium facilities. Each unit offers a beautiful view of Estero Bay and the Gulf of Mexico and residents can also enjoy BBQs, billiards, bike storage, a pool and spa, fitness center, clubhouse, extra storage and extra hurricane strength windows to protect from strong tropical storms. Bay Pointe at Bonita Bay – The private Bonita Bay community of Bay Pointe is one of the prestigious golf communities in Southwest Florida. The community is beautifully landscaped and offers a wide range of amenities to residents including a private beach club, waterfront recreational areas and proximity to Riverwalk Park and the Promenade Shopping Center. Bayview I & Bayview II – The Bayview communities are two high-rise structures built in 1994 and in 1996 and they offer 12 stories of luxury residences with views of the mangrove, Estero Bay and the Gulf of Mexico. Residents can choose from five different floor plans that range between 3,972 square feet and 4,435 square feet. Units have between three and four bedrooms and three and four bathrooms. Crossings – Crossings is located near the main gate of the Bonita Bay Golf and Country Club. The community is a single street of condo style homes that vary in style and structure. The units were constructed between 1989 and 1999 and the size of each unit ranges from 1,500 to 3,400 square feet. Eagles Nest – Eagle’s Nest is a quaint community of condo homes in Bonita Bay. There are only seven buildings that consist of 22 units that range between 2,000 and 3,000 square feet. Residents can enjoy beautiful views of the wooded areas, the lake and the golf courses. Due to the exclusivity of the community there is often limited availability on condos for lease or for sale. Esperia South – Esperia South at Bonita Bay is high-rise living at its best. The building has 28 floors and 119 units and offers outstanding views of the bay and the ocean. Estancia – Estancia was built in 2002 and is a luxury condo development with 27 floors. In addition to the individual residence units, Estancia also offers two penthouses between the 24th and the 27th floors. Greenbriar – Greenbriar was developed by Centex Homes and offers 36 condo homes in two mid-rise buildings. The three bedroom luxury residences offer panoramic views of the golf course and nature preserves. Residents can enjoy a private pool, tennis courts and other amenities. Hammock Isle at Bonita Bay – Hammock Isles is located just off the mangrove-lined shores of Estero Bay. Residents can enjoy the use of their own private swimming pool, spa and cabana on site. Hamptons at Bonita Bay – The Hamptons offers an intimate community feeling with beautiful condo homes that overlook the golf course, nature preserves and lakes. Residents can choose from two floors plans that range between 2,060 and 2,603 square feet. Harbor Lakes – The Harbor Lakes residences offer charming and comfortable condo-style homes, which offer residents access to the highly desirable Southwest Florida resort lifestyle with golf, tennis, a private beach, walking paths and beautiful views. Horizons – The spacious residences at Horizons combine the architectural detail and amenities of a luxury custom home with the privacy and convenience of Bonita Bay high-rise living. Tavira – Life at Tavira is characterized by wide-open floor plans that open to large terraces, which overlook Estero Bay and the Gulf of Mexico. The building is masterfully designed with grace, elegance and luxury in mind. Vistas at Bonita Bay – Each residence at Vistas features floor plans that resemble a spacious single-family home adorned with outstanding quality and luxurious touches. Wild Pines – Wild Pines is easily the closest condo complex to the club at Bonita Bay. It is also the only condo development in Bonita Bay that offers a one-bedroom floor plan as well as a one-week rental policy where most developments allow only monthly rentals. Want More Info on Bonita Springs Condos? There are many other condo developments and buildings scattered around Bonita Bay. 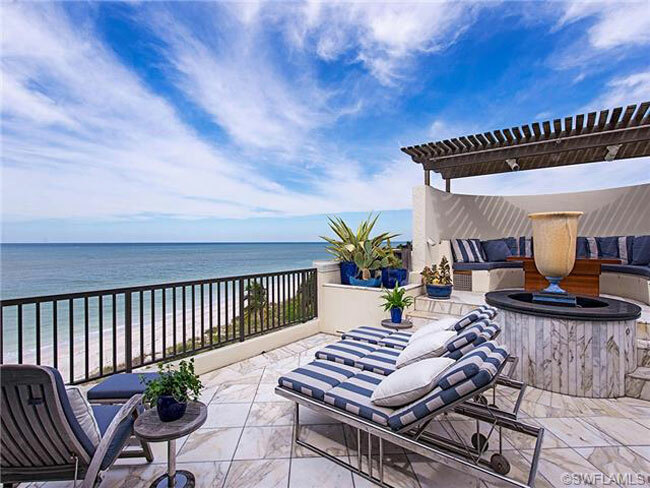 If you would like to learn about the rest of the condo residences available in Bonita Bay contact Dan Humbert and Alberto Quiceno of DNA Florida Real Estate. The team would be more than happy to discuss real estate options and current listings with you and help you find the best property to fit your needs.